At ASCUS Lab we are currently seeking volunteers with a background in a working lab environment and in particular the biosciences, to support the delivery of our Lab Open Sessions and our Microscopy for Beginners Course. 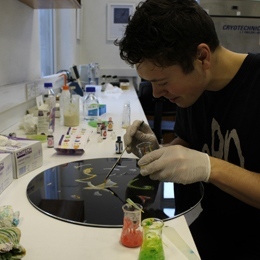 As the UK’s largest publicly accessible laboratory for experimentation in art and sicence our audiences include artists, scientists and members of the general public interested in accessing the tools of science for thier own independent experimentation. Our Lab Open Sessions run two days per week on Thursdays (4pm-10pm) and Saturdays (10am-4pm). 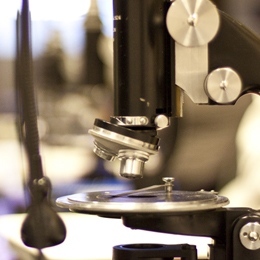 Our Microscopy for Beginners course is due to begin on Wednesday the 28th of June and will continue on Wednesdays for five weeks until the 26th of July. For Open Sessions we are looking for volunteers to commit to assisting at a minimum of one Open Session per month and for our Microsocpy for Beginners Course preference will be given to indivduals who are available to commit to the full five weeks of the course. 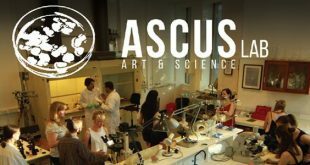 Volunteering with ASCUS Lab is an opportunity for individuals with a background in science to get experience communicating and introducing science concepts, processes and approaches to non-science audiences in a lab context. This is an opportunity to gain confidence in communicating science and to be immersed in an environment that specialises in art-science public engagement initiatives. Join us to contribute to the delivery of our ambitious art-science lab programme and to play an active role in the lab’s growing interdisciplinary community. Experience and/or a desire to communicate and share science with non-science audiences. Please submit your completed volunteers form to: lab@ascus.org.uk or bring it along on the 21st.